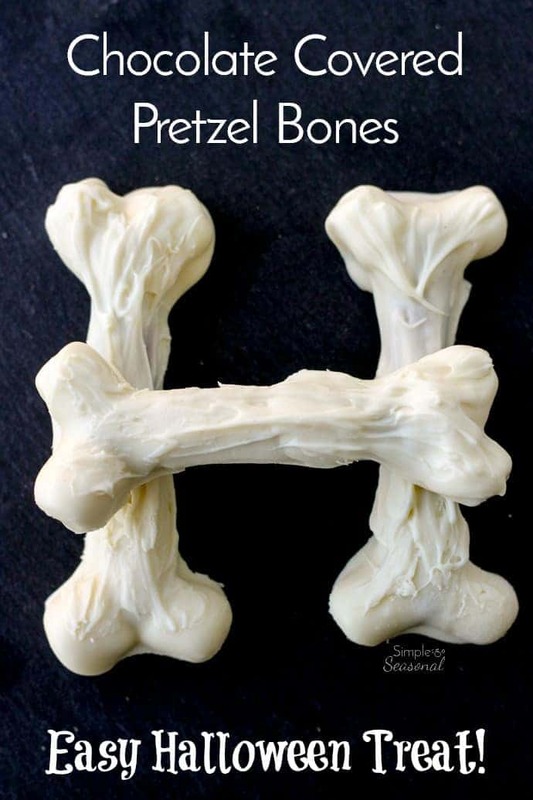 Chocolate Covered Pretzel Bones - A sweet and salty Halloween treat! 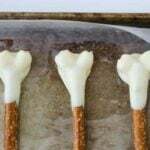 Home » Holidays » Halloween » Chocolate Covered Pretzel Bones – A sweet and salty Halloween treat! Looking for an EASY Halloween Treat? 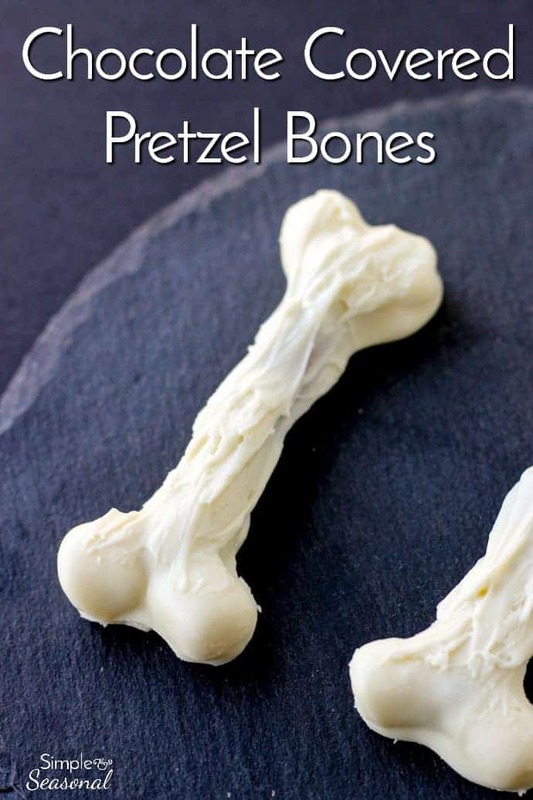 These Chocolate Covered Pretzel Bones combine sweet and salty and spooky! 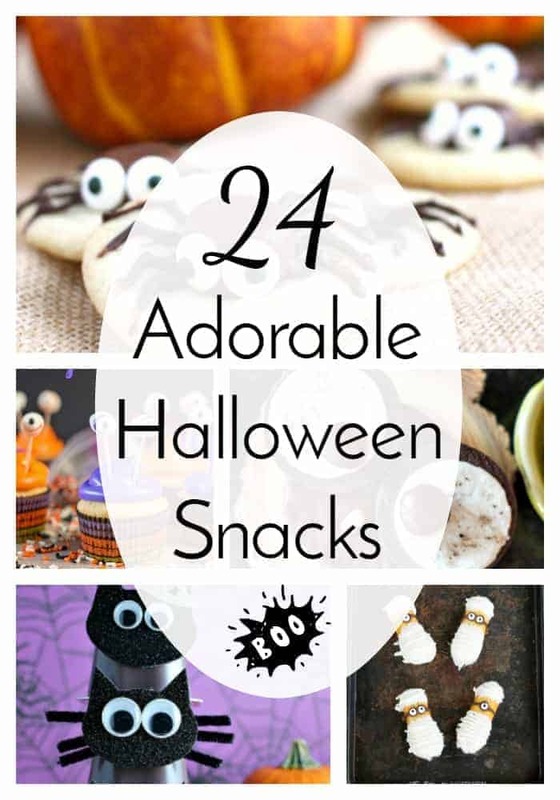 They are a fun Halloween activity to do with your kids and they will love eating them up! Are you always looking for new and fun ways to celebrate Halloween? How about something yummy too? Well, these Chocolate Covered Pretzel Bones check off all of those boxes! 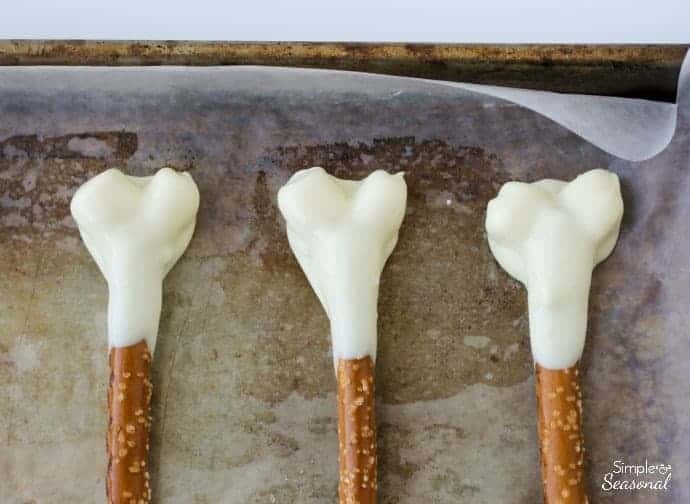 This last weekend, I was making Turkey Leg Treats (which turned out adorably, by the way) and while I was working, it occurred to me that I could make a quick adjustment and end up with some pretty cool Chocolate Covered Pretzel Bones for Halloween! 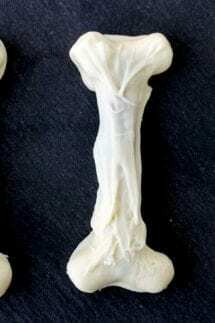 Looking for some other easy Halloween treats – you should check out these Halloween Spider Cookies. They are a family Halloween Favorite! I love when I can get two for the price of one! 🙂 It’s Nicole from Simple and Seasonal again, and I’m excited to be sharing another fun treat with you for the Halloween season this time! 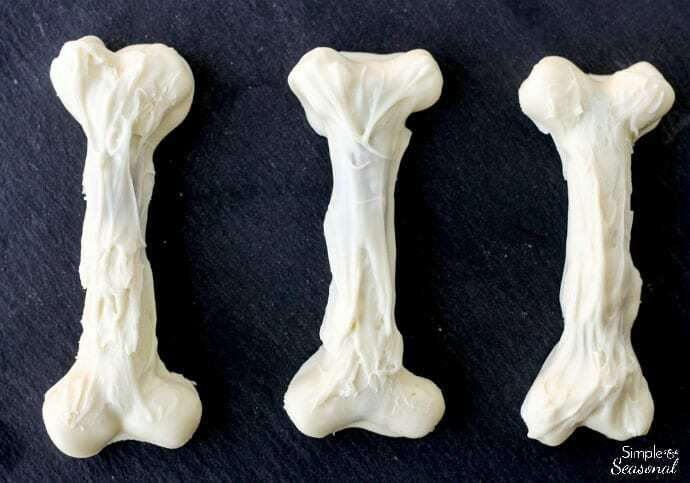 You can make as many of these as you like, but this particular recipe is for a total of 12 bones. Feel free to double or even triple it for a crowd! 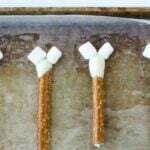 One bag of marshmallows and one bag of pretzel rods will make plenty-you’ll just need to double up on candy melts to be sure you have enough for a larger recipe. 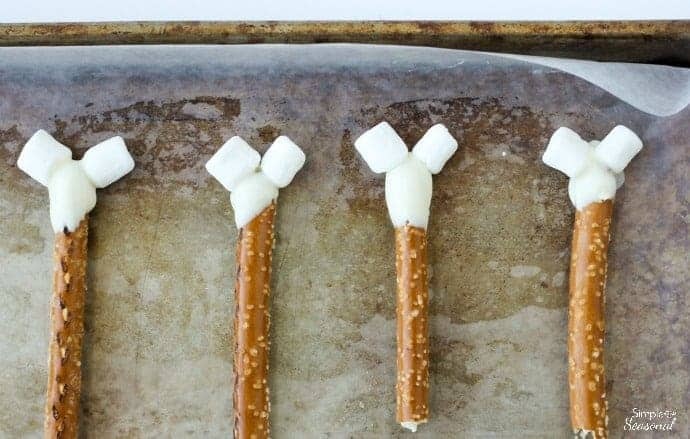 Step 1 – Break the pretzel rods in half and dip one end into the melted chocolate. Press two mini marshmallows onto the chocolate and let sit on wax paper for 5 minutes. Step 2 – Dip the end again in the chocolate so the marshmallows are completely covered. Let sit for about 10 minutes. Then, repeat the same steps again on the other end and be sure to completely cover the pretzel with the second dipping. I dragged my finger through the chocolate to add some texture to the bones. I think it gives them a “creepy” look that’s perfect for Halloween! Repeat steps 2 and 3 on the other end of each rod. 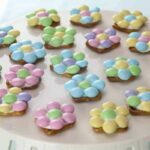 Place on wax paper until completely set. Do not refrigerate. 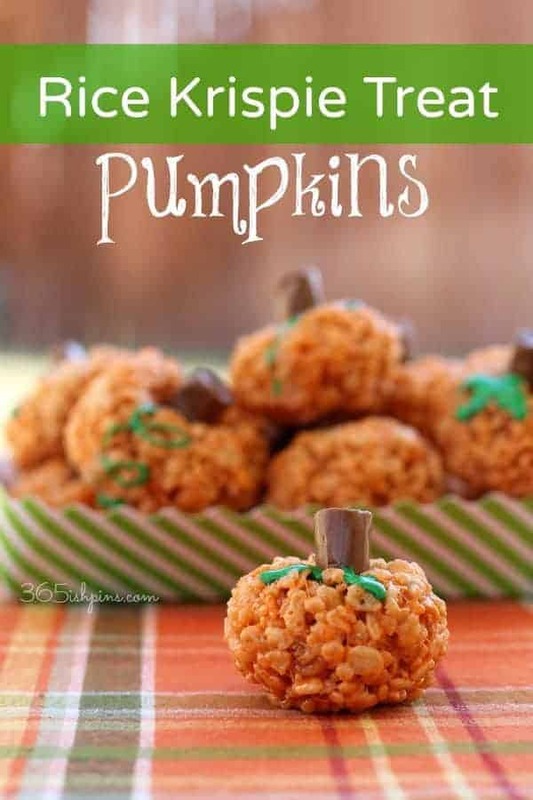 Looking for more fun Halloween treats? 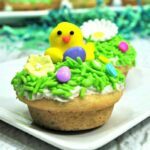 Try one of these from Simple and Seasonal!